The owner bought the Geely new car windshield and was replaced by a 4S shop lawsuit for 2 years. On May 5, 2017, Ms. Xu from Bazhong City, Sichuan Province purchased a new Geely car. After driving for about 3 months, she found that there was a problem with the new car.After the identification found that the windshield of the new car was replaced, it was found on the driving recorder of the car that the 4S shop staff knew that the front windshield had been replaced. The owner believed that the 4S shop was suspected of fraud and prosecuted the 4S shop. 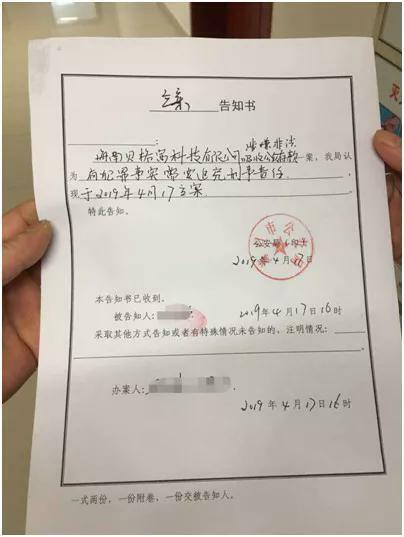 From 2017 to 2019, after the first-instance of the district hospital won the case, the 4S shop was sentenced to “return one for three”, returning the car for more than 160,000 yuan, and compensation for more than 490,000 yuan, totaling more than 658,000 yuan; then the 4S shop reported In the Intermediate People's Court, the Intermediate People's Court requested the district court to review it. After the district court passed the trial again, the result wasRefund of the return of the car, 4S shop returned to Ms. Xu car for more than 160,000 yuan, compensation of more than 30,000 yuan. The owner believes that the new windshield bought has been replaced and sold to himself. There is suspected fraud. According to the situation of fraudulent consumers, he hopes to “return one for three” and appeal again.According to the lawyer, as long as the 4S shop constitutes fraud, there should be no problem with “returning one pays three”, but whether it constitutes fraud or not depends on whether the evidence is sufficient. The owner bought a new Geely car and found that the windshield was replaced. At the beginning of May 2017, Ms. Xu, a woman from Bazhong, and her husband, Mr. Chen, discussed buying a car for home. On May 5, she and her family bought a Geely Dorsett in the Geely 4S store in Bazhong, and passed the loan for two years. signing the contract. 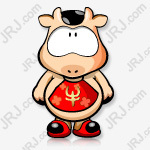 Ms. Xu introduced that they spent more than 160,000 yuan to buy a car, insurance and tax totaling about 200,000. When buying the car, the couple said that they did not find any problems, the sales staff did not say any problems, and said that this is a car that has just been transferred back. However, shortly after buying a car, it was found that there was a serious abnormal noise in the A-pillar B-pillar of the car. After driving to the 4S shop for many repairs, it was requested to change the car. The 4S shop always disagreed. At the end of July 2017, in the case of good lighting, Mr. Chen introduced,I found out that there are extra "glue marks" in the lower corners of the front windshield.At the time, I was a bit confused.Later, I turned over the video of the driving recorder in the car and found that the two staff members of the 4S shop talked in front of their own car. "At the time, the glass was broken. I changed it. I know it.”The staff member also asked the sales manager next to it, "Do you know what?" Subsequently, Mr. Chen contacted the 4S shop and proposed that the car he purchased was a problem car, and there was reliable evidence. The 4S shop actually agreed to change the car. Ms. Xu did not disagree.It is believed that there is fraud in 4S stores. The final appraisal result is: "The front windshield and its appendages have disassembly and disassembly marks, and there is a phenomenon of complete disassembly and reassembly." After the event, Ms. Xu and the 4S shop failed to negotiate through the industry and commerce department. Ms. Xu said that there was fraud in Bae Gee 4S. On August 18, 2017, she filed a lawsuit in the People’s Court of Bazhou District. Red Star News contacted Zhang, a legal representative of the Zhongli 4S shop (Bazhong Zhongrui Automobile Sales Co., Ltd.), who said that he and Mrs. Xu did have a car purchase contract dispute, and the purchased car was repaired many times. The two sides failed to negotiate. It has been appealed and all handled by lawyers. First trial "return one loses three"After the reconsideration, "return refund"
Ms. Xu introduced that she appealed in August 2017, demanding that the car purchase contract be revoked according to law, and all expenses such as the purchase of the car should be refunded. The defendant should be ordered to compensate the defendant for RMB 490,000. According to Ms. Xu’s transcripts, the trial was held on the afternoon of November 16, 2017, and the case was “sales contract dispute”. On December 28, 2017, the civil judgment of the Bazhou District People's Court of Bazhong City was as follows: “I. Lifting the “Vehicle Purchase and Sale Contract” signed by Ms. Xu and the defendant Bazhong Zhongrui Automobile Sales and Service Co., Ltd. Within 10 days after the judgment came into effect, the return of Ms. Xu’s car purchase was 163,800 yuan; second, by the defendant (Bazhong Zhongrui Automobile Sales and Service Co., Ltd.)Within 10 days after the effective date of this judgment, the plaintiff’s compensation for Ms. Xu was 49,194 yuan and the appraisal fee was 3,000 yuan. ”totalPay 658,200 yuan. "The first trial won the case completely, but the other party refused to accept it and appealed to the Intermediate People's Court of Bazhong City." Ms. Xu said. According to the contents of the Civil Appeals of Bazhong Zhongrui Automobile Sales and Service Co., Ltd., on February 24, 2018, the 4S shop appealed to the Intermediate People's Court after receiving the judgment, requesting that one or two of the judgments be revoked. One of the contents shows:"The appellant believes that the appellant did not intentionally conceal the facts or deliberately sue the appellant's false circumstances when selling the vehicle to the appellee, and his conduct does not constitute fraud." On August 16, 2018, the Intermediate People's Court of Bazhong City ruled that the first-instance judgment of the People's Court of Bazhong District was revoked and sent back for retrial. After seeing the retrial judgment, Ms. Xu was very angry and said that she decided that the Geely 4S shop was a fraudulent act. 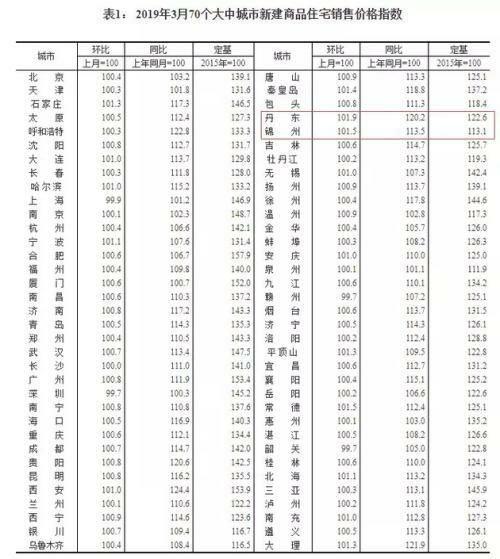 "Retirement refund, compensation for vehicle-related insurance, purchase of additional taxes and identification costs totaling more than 30,000 yuan"? Ms. Xu introduced that when she bought a car, the 4S shop did not explain to herself that the front windshield had been changed. Whether they knew it or not, the car was bought from the 4S shop, at least there was fraudulent suspicion, and the driving record in the car was passed. The conversation between the staff in the video found that the salesperson at the 4S store knew that the front windshield was being replaced before selling the vehicle. Through the judicial identification results and the video content of the driving recorder, Ms. Xu determined that the 4S shop is a sales fraud. "Since it is fraud, 4S stores should be punished and a penalty of three."Ms. Xu said. From the lawsuit in 2017 to May 2019, the two-year car loan is coming to an end. Ms. Xu introduced that after the purchase of the car, on November 6, 2018, it was 5,991 kilometers and it has been parked in the garage. For two years, for the sake of the car, busy and busy, are to identify the fraud of 4S shop. Although the 4S shop said that the car was the next-level dealer auto show to break the front windshield and changed it privately, Ms. Xu said that this has little to do with herself. On January 3, 2019, Ms. Xu again appealed to the Intermediate People's Court of Bazhong City, requesting the court to change the 4S shop to compensate RMB 491,400. Ms. Xu introduced that at present, the Intermediate People’s Court of Bazhong City has accepted it and is waiting for the court to open. Does it constitute fraud?What should the owner do when he encounters such a thing? Beijing Junzejun (Chengdu) Law Firm Chen Xiaohu introduced,The fraudulent behavior of the 4S shop is that they know that the front windshield has problems and deliberately conceal it. It is indeed possible to take evidence and there is fraud. If the video inside the staff says that the front windshield has been changed, the 4S shop does not know whether or not Clearly, this requires a 4S shop to prove. Consumers buy vehicles from 4S stores. When buying cars, 4S stores did not inform consumers, and they were suspected of fraud from the perspective of consumers. It does constitute fraud and requires a refund of three. Because the car is selling in other places, it will not directly contact the consumer, because the car must be a new car, the original, the merchant at least guarantee this. If the two cannot be negotiated, they need to sue for rights protection. Jiang Jian, a lawyer of Sichuan Zhuo'an Law Firm, believes that the provisions of consumer rights are to urge the operators to guarantee the quality of the goods. In the process of selling the goods, the goods must be delivered according to the contract. The front windshield is sold to the consumers after the change. This is a major problem in the business ethics of dealers. The purpose of the law is to crack down on and reinstate such business practices and maintain a good normal business environment. Jiang Jian said that he supports the judgment of the court of first instance and compensates according to three times. However, the court may consider how much a front windshield is worth, a total of part of the value, and many times the windshield on the car, considering the value imbalance.In this case, the punishment and the cost of the attack on the merchant are too small. It may not be a one-person thing. Other people encounter the same problem. From the point of view of value corporal punishment, the dealer should pay the price he deserves. At the same time, Jiang Jian believes that it is difficult for consumers to prove that the driving recorder happened to record the dialogue of the sales staff and found that the windshield was changed, and the compensation was tripled to ensure normal business order. In addition, the relationship between the dealer and the 4S shop, as long as it is not the owner's own behavior, no matter what the dealer, the seller, etc. did to the car, is their own internal problems, and has nothing to do with the consumer.